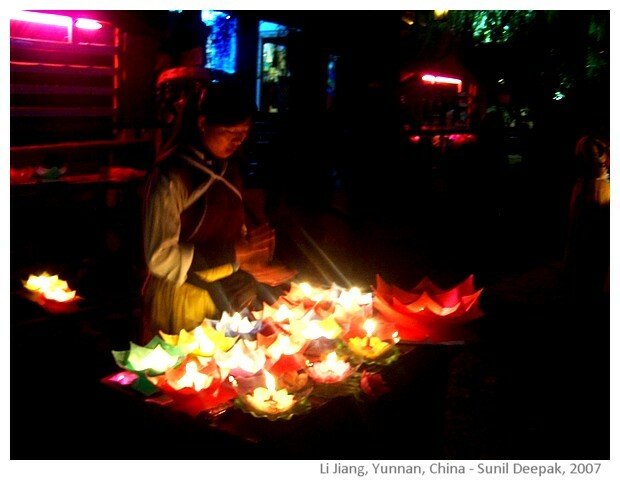 Today in India, it is Deewali, the festival of lights. I can imagine the crowded and noisy markets, the hustle and bustle, the packets of sweets and the millions of lamps and candles that lit the moonless night. 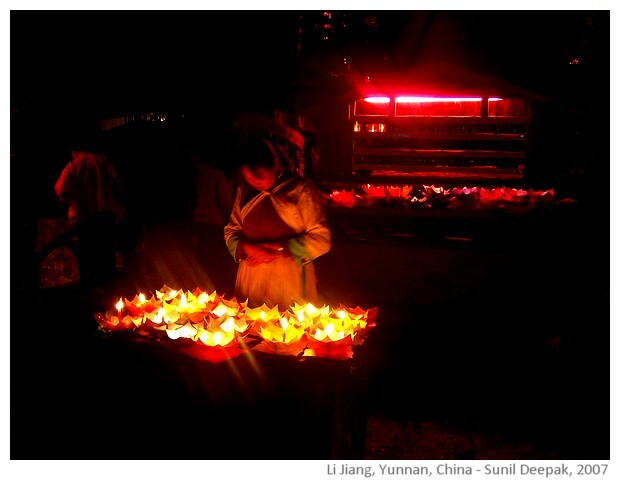 I think of the lines from the Buddhist prayer in Sanskrit, "Tamso ma jyotirgamay", "take me from the darkness to the light". My best wishes for all of you - let there be light in your homes, in your families, in your hearts. Far away from home, it is just another day here in Europe, though we do plan to go out for dinner in a place that is going to have a Bharatnatyam recital. And tomorrow evening, we are going to have a show of gypsy dancers from Rajasthan. And there won't be all the noise and the pollution from millions of fire crackers! That is how we try to console ourselves!! 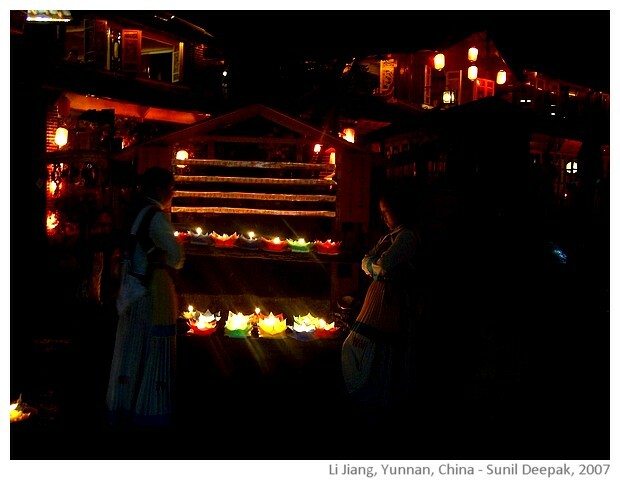 I took the pictures of candles below in Li Jiang in Yunnan province in China recently, that for me do express the spirit of Deewali. Dear Mama, Wish you and your family awonderful and luminous Diwali!